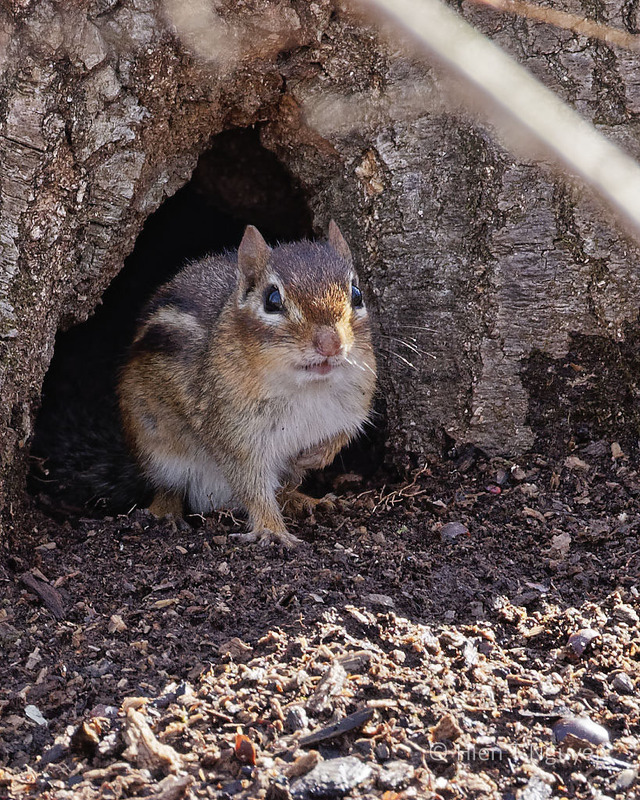 Ah super eye candy … and that little chipmunk is a cutie! I love the chipmunk picture! 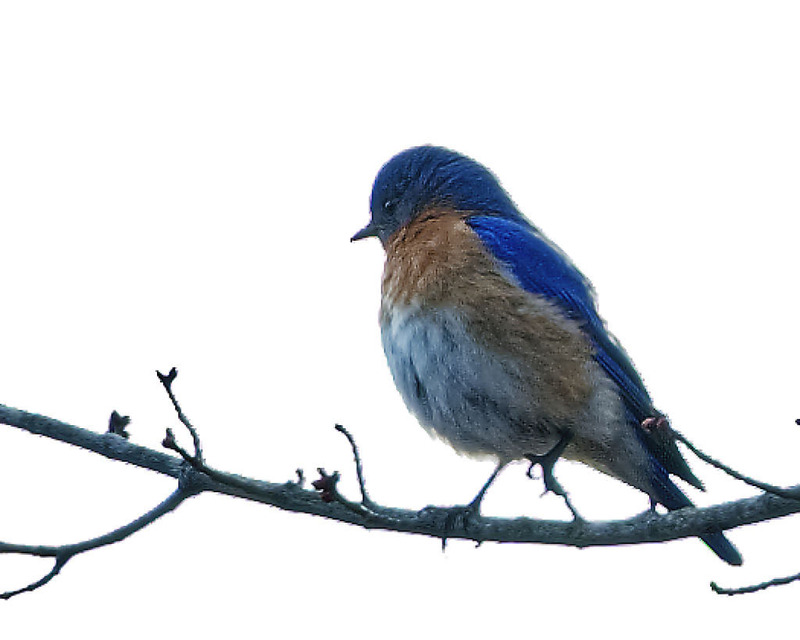 The colour of the bluebird sings out even on a cold and windy day! That bird would be a joy to paint! Such striking photos! Love the chipmunk. Our bluebirds are searching out nesting sites now. 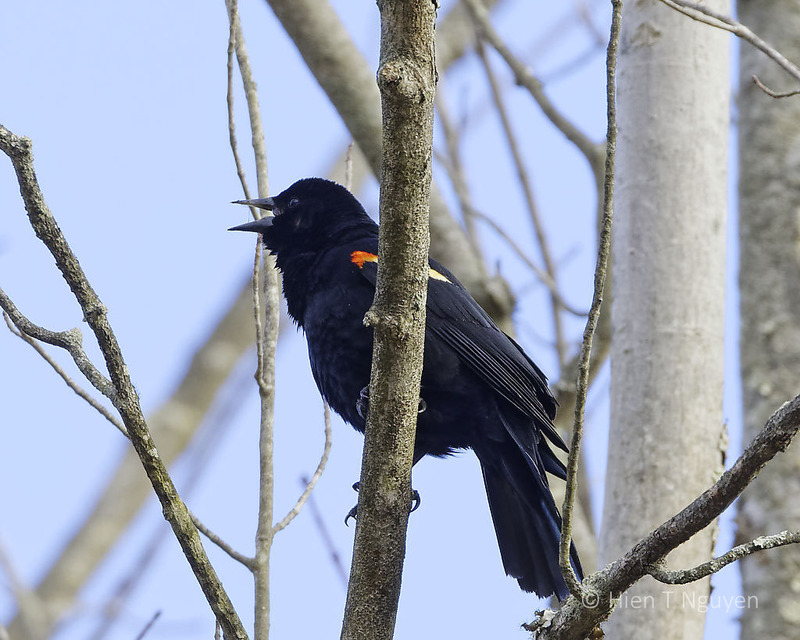 I’d never seen a red winged blackbird till I moved to the coast but sadly there are no chipmunks here! I thought that Chipmunks are everywhere in North America, but come to think of it we don’t have any in our woods. I only saw them at the Great Swamp. The blue bird is gorgeous and that little chipmunk is adorable! Thank you Lois! That Chipmunk darted across the path, went home, and immediately turned around to look at me! Sweet photos. The blue bird is so pretty! Thank you Katelon! Bluebirds are my favorite birds. 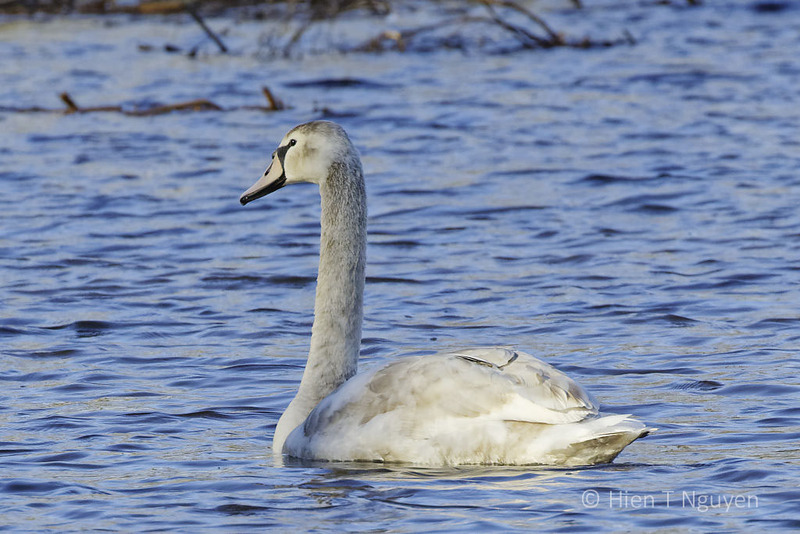 This one was far away and backlit, but the photo does show its colors.